Should Tourist Numbers Be Limited? In 1572, a group of Spanish sailors that was fleeing South America was pushed by the South Equatorial Current into the Galapagos Islands. Having no navigational charts with them, the sailors referred to these newly found lands as the Islas Encantadas (Bewitched Islands) because they seemed to appear and disappear before their eyes in the fog and mist. In fact, some 17th-century Spaniards who witnessed the same phenomenon claimed that the Galapagos were, in truth, mere shadows and had no physical form at all. Ever since that time, it seems, people have been drawn to this unique place, from pirates to whalers, scientists to eco-tourists. For the past 14 years, in fact, the archipelago has seen more than 150,000 annual visitors. But starting on February 1, 2012, there will be new regulations regarding the number of days visitors may spend there and the landings they may make. 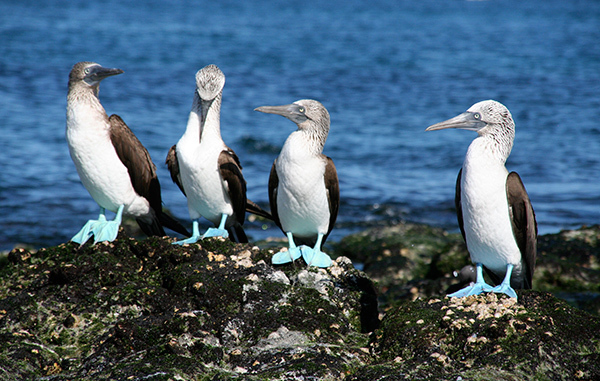 The Galapagos National Park authority states that the new regulations were needed in order to protect the local animal and plant life and the islands, which were suffering from over-visitation and erosion. The bonus for travelers is that islands that were previously little frequented will now be opened up for tourism to redistribute some of the current traffic. While many ships’ itineraries have focused mainly on the three islands of Isabela, Santa Cruz and San Cristobal for the past 14 years, the islands of Española, Genovesa and Fernandina will now see more boats arriving. And, with these new rules in place, says the park authority, less fuel will be consumed and less pollution will be emitted by the yachts, boats and ships working in the islands. The Galapagos isn’t the only example of a pristine place that needed to limit tourists in an effort to protect what’s left of it. In 2009, safety fears and concerns about the impact visitors were having on the delicate frozen landscape caused signatories of the Antarctic Treaty—an agreement between 48 nations on the use of the continent—to set limits for the number of tourists permitted. 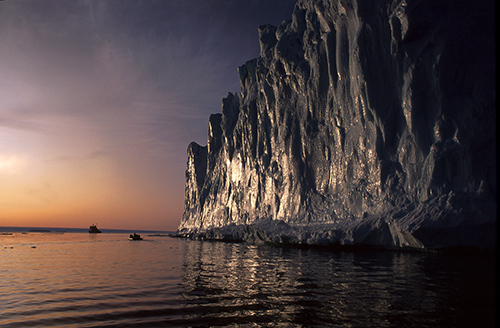 In 1992-93, visitors to Antarctica numbered 6,700. By 2009-10, they had risen to more than 40,000. The new rules asked that countries prevent ships with more than 500 passengers from landing on the continent and to only allow a maximum of 100 passengers on shore at any given time. Some would say, however, that elevating places of natural beauty to the status of protected parks or World Heritage sites is enough. When we start putting quotas on the numbers of people who can visit a given area, we invite a system where access can be bought. And once something is limited, of course, it becomes more expensive in the marketplace. That could lead to having the Earth’s most amazing places being affordable and accessible only by the wealthy. Do you think our places of natural beauty should have caps on the number of people that may visit them? In Tasmania, we currently have 2 areas that are of concern. Theyare Cradle Mountain and Freycinet , both National Parks. The tourism numbers have ballooned in the last few years, placing a big strain on the infrastructure and the fragile environment. I just hope the power brokers and decision makers can work out a safe and enjoyable resolve to this conundrum, if only to keep these areas pristine for our great grand children to enjoy in 80 years time. I believe that regulations are needed in order to protect not only the local animal and plant life but the quality of the visit. In many national parks are problems of congestion and crowds, away from the feeling proper to a natural sites. I applaud your comment Michael. It is obvious that such a great number of people in our wild parks, even if they try to be unobtrusive, just can’t be. We surely need to protect our environment for those who follow. If that means not always getting to see something we hold dear, so be it. It is that age old question of how to leave an area alone and provide enjoyment of it at the same time. Those of us who are drawn to the dwindling wild places are passionate about seeing no changes to what we enjoy. How many times have you made plans to re-visit a favored spot only to learn that it is closed due to some effort to restore or “rest” it? It can be especially disappointing when you have traveled long distances and made preparations months and sometimes years in advance. I think we have a natural tendency to want things to stay the same and only grudgingly accept when they do not. When those changes are the direct result of man’s influence I feel that it is appropriate to manage and guide access to minimize, reduce and correct before the damage is irreparable. Depends on what you mean by pristine. I don’t think of developed areas within national parks as pristine, so I don’t think visitor numbers should be restricted in these places, although a mandatory bus system such as what Zion has would keep traffic and air pollution down. But I am in favor of backcountry permits to spread use around and to maintain a low human impact on sensitive areas. Most national parks already have such a permit system in place. Well, I think over the years the Parks have deliberately restricted access to certain areas of the different parks I have visited over a number of years to protect the larger areas. This squeezes the visitors into smaller spaces and exacerbates the overcrowding occurring in summer months. And, of course, we have the whole issue of underfunding of the system and what is valuable for the country. There are areas on the island of Kauai that no human, including ancient Hawaiians have ever set foot on because they are too remote to access. You cannot even land a helicopter. The only way you can see them is when you take the helicopter tour of the Pali coast. In Alaska there are also some stunning pristine untouched natural environments, same with the Grand Canyon and other location around the world. I often wonder what’s the real motivation to stay in these places. Ancients and others traversed the accessible areas in route to a destination. It also seems to me that they did not leave trash and the location was not the destination. Maybe someone can educated me as to the benefit of more trendy tourists locations. Do you think it might help to have trips to see what is left of places like Detroit, South of Market in San Francisco, or the polluted rivers in the US, so as to encourage others to ponder what progress really means vis a vis the need to continues to build? Maybe that might be a motivation to go back and clean up what is left in the wake of the current conditions. Just a thought but would love to hear your comments. National Parks are the legacy we leave our children. Our dedication to their preservation has been primarily through our tax dollars. Entry fees to visit the parks should be minimal for US citizens and maximized for non US citizens. I was in Sequoia Park over Thanksgiving weekend and so enjoyed it with the small numbers of visitor versus a summer weekend. I’m in agreement that the overused areas of parks should have a system for resting the environment. I like Adam’s analogy ‘Wal-Mart on Black Friday’ and think that’s not fun for any entity; the people, the park grounds, or the critters. Us humans can be pretty good at trampling beauty. If the volume of traffic endangers the habitat or the natural ecosystem, then yes. Yosemite might benefit from some caps on visitation to the park as a whole. In peak season it is more crowded than Wal-Mart on Black Friday, an absolute zoo! Fewer people would make it more enjoyable for everyone not to mention reduce what must be tons of pollution from all the cars that often just sit and idle in traffic there. I understand that in the ’70’s, certain overused trails in the Smokey’s were closed to hikers to let the land repair itself. The whole park was not closed, just a section that needed TLC.? In more recent times in a local county park, I have noticed that mountain bike trails need TLC but there is not enough employees to open a new trail to give the old trail time to repair itself. There are people who need pristine places to live and visit – if all pristine places are off-limits, where will they go. If a pristine place is totally off-limits, how will we enjoy it’s beauty. If the number of visitor’s is limited, I think the number of visits per unique visitor should be limited – so more people can enjoy. Also, interesting history of the Galapagos. Ah yes, in an ideal world Robert. My dad was a scout master and so I grew up very much in the wilderness unlike a lot of todays youth. I think another issue we have currently is the state of our economy as for most parents money is the biggest goal to strive for and trips to the wilderness the cheapest form of break. Which brings us back around to the ecotourism route again and improving education and understanding as you say. I agree Jennifer, and I think that the police and rangers do an incredible job against such overwhelming odds and apathy by members of the public who think they are doing nothing wrong, I know I sound like I’m preaching but maybe we as a world community need to start teaching our children more about the world we live in and less about how much money you should aim for in life. I realize a lot of people already do just that, but wouldn’t it be nice if parents, schools and all interested parties worked to the same agenda so that everything was linked and the message got across to the next generation before they acquire the bad practices some of their elders exhibit. I agree with Robert’s comments. The only challenge, in my opinion, is that where ever people are, nature seems to suffer. I do agree with you Robert, but my experience is that ranger services and the police find it very difficult to monitor and control activities such as supposed wild camping (I say this because it is not really wild camping if fire pits and tin-cans are left behind). Currently it is routine to conduct a clean-up after the event due to safety issues in approaching these groups! I agree with Duarate. Ecotourism should be the practice when visiting all the parks and pristine places. It is going to take a lot of time to educate the people how to love and respect nature with the global population that will be reaching the 7 billions very soon we humans are going to need to share with nature. Limitation on numbers may be one option but strict control on their activities at such places may be an alternative. I would certainly hope that the National Parks would not use quotas as an opportunity to gouge! It is a very tricky question, but I think before quotas are introduced people should be better educated in the proper etiquette when visiting places. I have lost count of the number of people I have seen in UK national parks that think it is acceptable to treat the park as a rubbish tip, ignore signs and general think they are a exempt from any rules. I imaging the same apply across the world. People seem to think “I’ve paid for this I can do what I like”. I think if the mentality of people can be changed it would go a long way towards protecting all areas. If this can’t be achieved then maybe restrictions are the only option but I feel that would bring a different set of problems. Definitely yes. But tourist behavior should also be considered. I’d rather have a group of, say, 30 individuals who behave responsibly towards the environment and respect the culture of the community to a group of, say, 10 who do otherwise. And this we have encountered in several of our projects. First, there are no pristine places. Every square inch of the globe has been affected to some extent by human activity. There are some places that are less affected than others and these must be vociferously protected from further damage. Continued human traffic to these fragile environments, even by well intentioned, careful travelers, causes wear and tear to the nieghborhood roundabout, including the neighbors. Unlimited human visitation to natural places is not, well… natural! And nature is changing with Global Climate Change – species are migrating – weather patterns are shifting making some areas wetter and some drier – ocean levels are rising. Observing nature – studying what is happening – learning what we need to do to adapt to this changing world is essential. National parks and other protected areas are prime places to so this work. Yes, Candice and Thomas you are right. We must not kill the goose that lays the golden egg. We humans have to observe the goose as we protect her – see what she will do next. Yes. Michelle spoke of the social side and that has been my expierence as someone who tries to enjoy as many parks as possible. Without constraints, we will lose what we are trying to preserve. Yes it definitely should be. This is a issue I always have great concern when people in Caribbean like in Trinidad and Tobago where I live that they what to more to the Green Economy etc. They never think about the carrying capacity issue. For example on the Eastern side of Trinidad hundreds of leatherback turtles nest every year and there is a community group that has been very successful in managing and protection the beach around nesting they will charge people to come and see the turtles nesting. It has become such big thing I am concerned about the compaction on the nests which will affect the baby turtles in may different ways. Anyways carrying capacity is something that is very important and now with a global population at 7billion its more necessary than ever. Absolutely! I think this way anyway, though many people might have many different views and idea. yes tourist numbers must be limited to protect pristine habitat. I’d like to add to Michelle’s comments. Also as a former wilderness ranger, field manager of a wildlife sanctuary and Antarctic station manager, I have seen my fair share of tourism in pristine and fragile places. I would agree there has to be a limit to the use of any area that can be potentially damaged by both environmental degradation and local social capacity to accept visitors. Education about the areas in question and the threats caused by too much human visitation is essential if there are to be stricter regulations, permit systems and visitor restrictions put on pristine eco-systems that work. There are a number of tested ways to measure the impacts to make sound management judgements, but public awareness and education about why the area is fragile and the need to protect it from overuse is crucial. If the visiting public and tour companies know and understand the reasons for limiting visitation they are much more apt to agree and advocate for better protection. Protected area managers and the tour industry itself must use a range of tools to preserve wild and pristine places, public awareness and education is but one, but an important one. As am Ecuadorean I going to give my humble opinion regarding Protecting Pristine Places. The Ecuadorean government implemented very serious rules many years ago regarding who may move into the Galapagos and who works there. Even as an Ecuadorean you need to get a visa to live there or work there. The same should be true if tourists should get off the boats onto the islands. It is true that a lot of tourists respect the rules on how to handle the wild life in the Archipielago de Colon, known as the Galapagos Islands, due to the giant tortoises living there since prehistoric time which are not afraid of humans. At any National Park or just any public place people should follow the rules that are posted. When it is posted DO NOT FEED ANIMALS it is for a reason. DO NOT TOUCH THE ANIMALS it is to prevent transmission of human disease to protected animals. NO LITTERING MEANS NO GARBAGE ON THE PREMISES. Tourist or non tourist should protect these pristine places and no so pristine places. I am strongly in favor of limiting the number of visitors to pristine and sensitive locations. As a former wildlife park manager I saw firsthand what a large number of visitors can do to an area. Carrying capacity is important to find out for any area, so you know what you are doing management wise. However it will always be a struggle, especially when the organization which manages the area is in financial distress and as such will promote a growing number of visitors to cover management costs, as seen on my island Curacao in the Caribbean, where the major park is run by a foundation. It becomes self-destroying circle which is difficult to end. I was very surprised however when managing the park, that besides the biological carrying capacity of the area, the social carrying capacity (as I call it) was as important. What happened, because of the implementation of relatively successful marketing strategies causing the number of visitors to double (From 18.000 tot almost 40.000 in 5 years time), was that the growing number was starting to make visitors uncomfortable. The main comment we were hearing more and more was that the area was too overcrowded with people, causing visitors to drive in lines trough the reserve, and even making hiking trails so crowded it became too dangerous and not really a fun activity to do. A real problem, as one visitor tells another and as such causing an auto-destruction process for the park in terms of financial stability. I am not working for the park in question anymore, as the financial gain overpowered the goal of conservation, with all the negative impacts it brings along. But this experience made me a firm believer in the necessity to manage visitor numbers responsibly. Yes Troup…unfortunately….making exclusions for the mass generally leads to playgrounds for the few and the original motive flies out of the window. In the UK…..there are many places that are out of bounds for most and lost to those who enjoy the beauty the most. I’m far from a treehugger but the same can be said for concerts and sporting events where those with money can snap up the best seats and sometimes miss the action as they are still in the VIP bar. Yes, I agree, too, as long as I am one of them! Ha again! Afraid some management is needed…but not so that it winds up giving the park people their own paradise to the exclusion of everyone else. Yes, that’s a very important issue. If we want to take tourists to protected places we have to make sure we are not making any harm to those places. The best way to do it is to practice Ecotourism and follow it’s principles. One of those principles is that it has to have a small number of tourists. Ecotourism is the answer to many of the environment problems that mass tourism causes. When visitation starts to negatively impact the resources for which the place was protected a management plan should be developed to guide the mitigation of the impact. It does not necessary mean that you limit visitation to numbers of tourists. Sometimes limiting access at certain times of the year. For example closing or greatly reducing visitation during the bird breeding season or when high wildfire conditions are evident. It is important to justify these actions and to make an effort to enlighten users for these actions. This is actually a topic I’ve thought about a lot because I am a huge fan of the national parks. I think what I’ve decided is that, due to the reckless and careless nature of people just being people, that in order to protect some places, a small piece of each of those places needs to be sacrificed to the general public. In order for something to remain truly pristine, no one should visit it, but most people aren’t okay with that, so it seems like we need to destroy some land in order to protect more of it. I agree, as population numbers increase so too will visitors to these natural places and a restriction on numbers per annum is I think the best way to control this and help protect these areas for future generations to see. It seems to me that this is simply a case of an established protected area catching up with modern day protected area thinking. Every eco-system has its carrying capacity and when you define any landscape as, say, a national park, you are inviting people to visit; more than would normally. Any PA management plan worth the paper its written on incorporates an annual quota for visitors based on ecological considerations. As an area reaches critical mass, that is the number of visits by people that is deemed by researchers to have negative impact on the ecosystem. At this point a limit should be put on the number of human visitors. In Canada this is being done in a majority of the larger parks. I have done photographic tours to photograph wild owls in Ontario for several years. The location has become very popular with individuals and groups, to the point that groups of 15 – 20 were becoming normal. The people did not stay on the trails and have opened up the understory to the point that I have seen larger predatory owls able to enter the woods and feed on the smaller owls that historically used the area as a safe day-time roosting area. 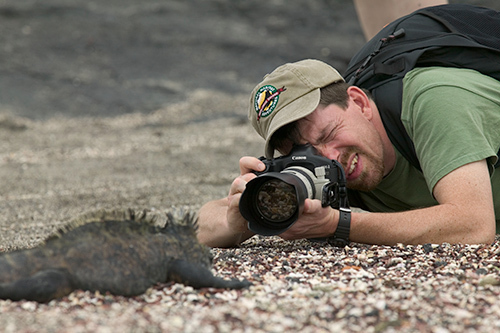 As a photographer and naturalist I keep my groups small to limit the impact and minimizes the stress on wildlife. I agree, we need to limit numbers in many places – I think of the Milford Track in New Zealand, where only 40 people can start the walk/hike every day ( 20 independant walkers . ie carrying own food etc) and those been catered for .. just carry your daypack. both these groups sleep in different places so, as all are walking in the same direction you rarely see others .. making for a great experience and protects the area. Certainly, the tourist number is important not only for the threatened animal and plant species but also to the habitat and the niche of that particular species. So the number should not be beyond the carrying capacity of that particular population and the community. yep, afraid so, as the world population increases, we need to have daily limits. I’m more in favour of ‘photographers numbers being limited’ to protect the exclusivity of my images ! ha ha ! National Parks are a public treasure. However, if we human beings are taking too high a toll on fragile habitats, then it is encumbent upon us to protect them. Sadly, there may need to be restrictions on the numbers of visitors. I believe that the only fair way to do this is to have lotteries so that everyone has a fair shake at the opportunity. Interesting question. I think the answer is “sometimes.” For instance, Subway Canyon and now also Half Dome in Yosemite are now subject to a drawing with limited slots. A park as a whole though I don’t think should have limitations.